This step assumes you have already created a Convention. 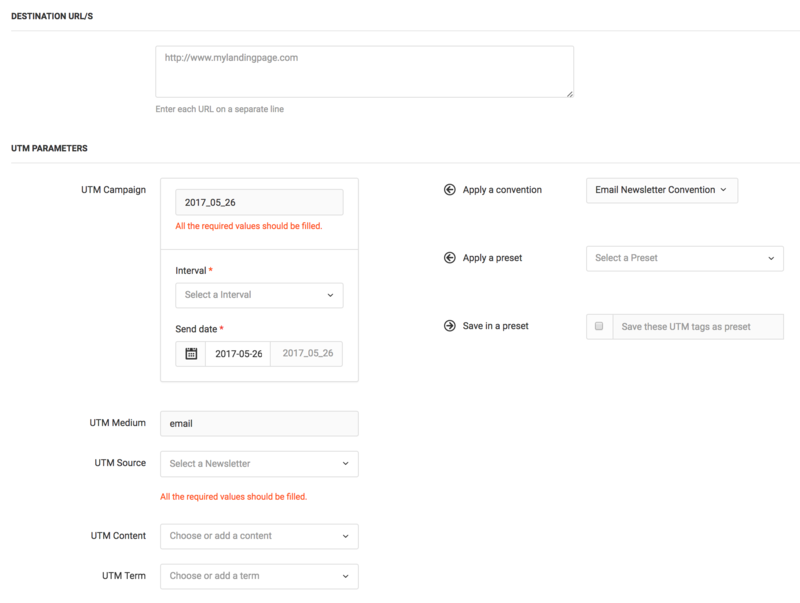 Let’s see how to use it to build your UTM tracking URLs. From the Conventions dropdown, select the convention you would like to apply to the the URL builder. In this case, we select Email Newsletter Convention. 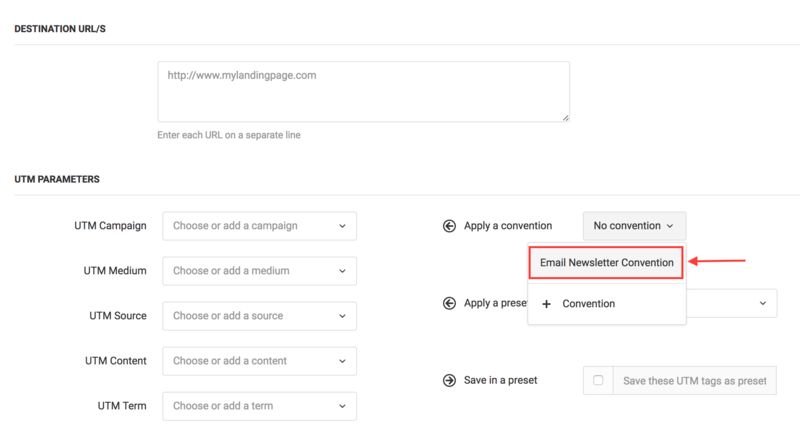 You’ll notice that the UTM Campaign, UTM Medium and UTM Source are now updated based on how we defined them in our Email Newsletter Convention. 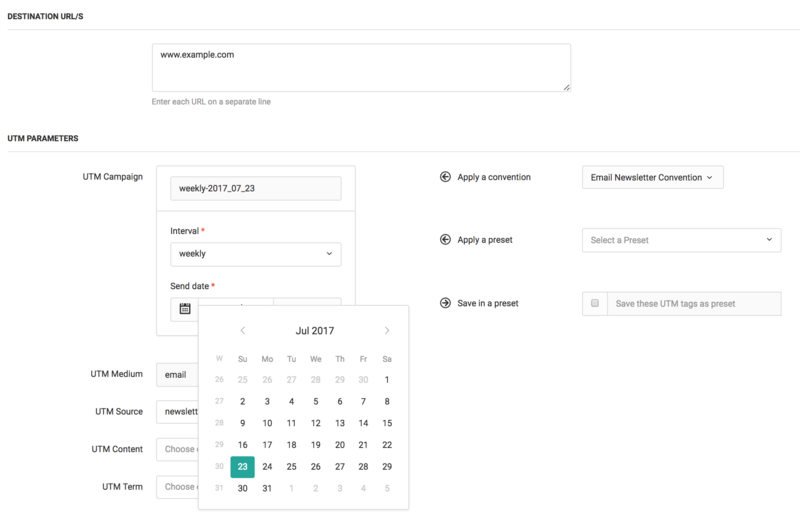 You’ll notice that Interval (Option field) has a dropdown, Send date (Date field) has a calendar, while UTM Medium/Email (Constant field) is not changeable.